Acne vulgaris is a common condition in adolescence and also for many women of childbearing age. The management of acne in pregnancy is complicated by the lack of clinical studies and pharmacokinetic data in this patient population and safety concerns regarding retinoid use in pregnancy. Of primary concern to both patients and clinicians is the safety profile of medications used during pregnancy. This review seeks to clarify what management options are available to treat acne during pregnancy and what data are available to guide decision making. Topical treatments are considered the safest option during pregnancy. They have the best safety profile and minimize the levels of systemic absorption, and therefore the least risk of fetal exposure. If these are applied properly with a strong emphasis on adherence, excellent results can be achieved. Both authors have no relevant conflicts of interest. FMM researched and drafted the initial document, which was then reviewed and edited by ADO. US Food and Drug Administration. List of pregnancy exposure registries [online]. http://www.fda.gov/scienceresearch/specialtopics/womenshealthresearch/ucm134848.htm (Accessed 12 Dec 2012). FDA Consumer Health Information. Pregnant women to benefit from better information [online]. http://www.fda.gov/downloads/ForConsumers/ConsumerUpdates/UCM143746.pdf (Accessed 12 Dec 2012). US Food and Drug administration. Pregnancy and lactation labeling [online]. http://www.fda.gov/Drugs/DevelopmentApprovalProcess/DevelopmentResources/Labeling/ucm093307.htm (Accessed 12 Dec 2012). MIMS USA drug information system [online]: http://www.mims.com/USA/Viewer/Html/PregDef.htm (Accessed 12 Dec 2012). Organisation of Teratology Information specialists. 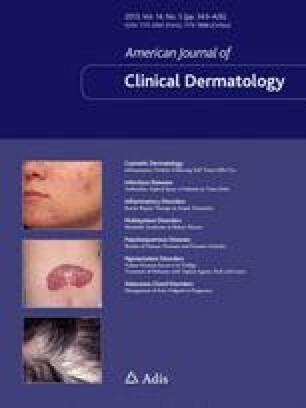 Tretinoin (Retin-A®) and pregnancy [online]. http://www.otispregnancy.org/files/tretinoin.pdf (Accessed 12 Dec 2012). UK Medicines and Healthcare products Regulatory Agency (MHRA) azithromycin UKPAR (UK Public Assessment Reports for medicines). http://www.mhra.gov.uk/home/groups/pl-a/documents/websiteresources/con023376.pdf (Accessed 4 July 2013). Committee on safety of medicines/medicines control agency. Systemic corticosteroids in pregnancy and lactation. Curr Probl. 1998;24:9. http://www.mhra.gov.uk/home/groups/pl-p/documents/websiteresources/con2023392.pdf (Accessed 28 June 2013).